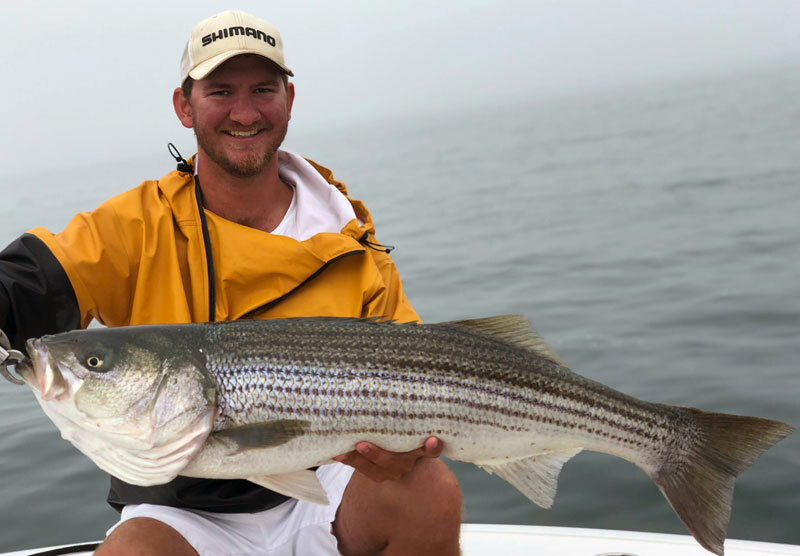 Salty Lewer Charter Fishing offers light spinning tackle and live bait fishing for Striped Bass and Blue Fish aboard a clean and stable 23 foot Sportsman center console with a 250HP Yamaha motor. It’s your time on the water, times and length of time can be customized to meet the angler’s needs to make for an enjoyable trip on the water. 2, 3 and 4 hour trips available 7 days a week and can be customized to meet your needs. Fishing is along the coast so there is very little drive time and more time to fish.